“The aim of Integrated Pest Management (IPM) is to reduce pest damage to tolerable levels by using a variety of techniques, and ultimately also to reduce pest populations to tolerable levels. This is very different from the traditional idea of eradication as practiced by many of the old Pest Destruction Boards. Their goal proved to be impossible, especially with rabbits; hence, the change of direction in the management of rabbits in the early 1970s from eradication to control” . IPM is deeply informed by the ecological and social sciences and has now become routine in horticulture and agriculture internationally because it works. It is an ecologically, economically and socially pragmatic and efficient response to pest animal damage that delivers results. IPM strategies are applicable to small mammal pests, like rodents and brushtail possum too (examples hyperlinked for each). Pest management at the national scale is a complex task because pests and pest damage (e.g., predation, browsing, infection) and the values being protected (e.g., biodiversity, crops, stock) vary across the landscape and over time. Thus, success at pest management requires different strategies in different places, at different scales, in different communities of people, and at different times. National-scale eradication attempts ignore this socio-economic and socio-ecological complexity and that is why they fail. IPM, instead, adapts itself to social, spatial and temporal variation to develop a strategy for success that can be dynamic as circumstances change. “They [Regional Councils] can deliver effective, efficient, and sustainable management of all pests that affect or are likely to affect agricultural production, for as long as they accept responsibility. All they need now is to develop an integrated pest management policy accepted and operated by all Regional Councils” . “The “good neighbour” policy agreed between the old Forest Service and the then Pest Boards, whereby each agreed to protect the other’s work from reinfestation, worked well and should be revived in the form of reciprocal arrangements between Regional Councils and the Department of Conservation (DOC)“. But for small mammal pest control at the highest levels of pest management policy-making in New Zealand, we have forgotten Peter’s advice to build and apply the science and practice of integrated pest management and the importance he saw of empowering different regional priorities and cooperation. Perhaps this is because we have also forgotten the failure of central governments’ 20th-century pest eradication attempts that Peter wrote about. The possum, rabbit and deer wars soaked up enormous resources each year: e.g., $7.4 million for the 1976/77 financial year  (which is equivalent to ~$71.5 million in 2018), but failed. 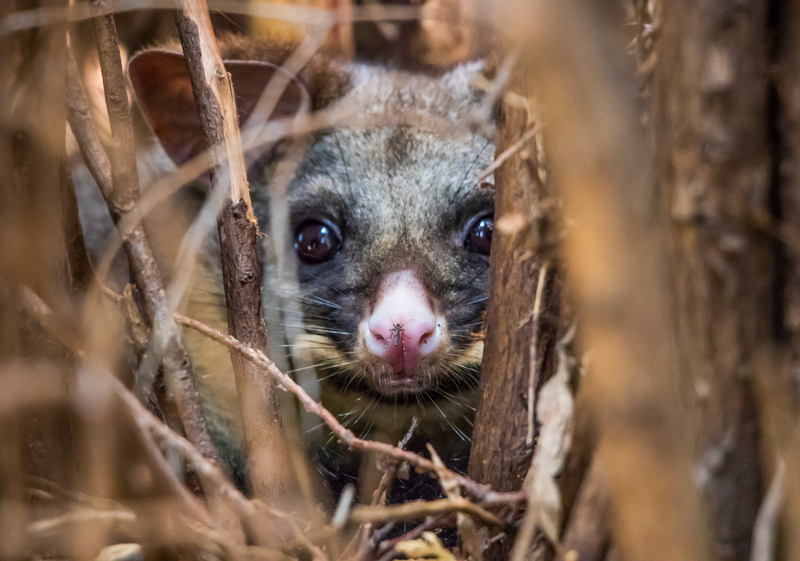 Despite that experience, instead of building a national integrated pest management plan, as a nation have adopted a flawed 20th-century eradication policy and called it Predator Free 2050 . As a scientist, my greatest concern about the Predator Free 2050 policy is that it has ignored decades of ecological and pest management science and experience, like Peter Nelson’s, and returned us to the flawed and failed eradication policies of the past, although much better policy and practice are possible. It is possible, by adopting an integrated pest management framework as Peter envisaged, to achieve our biodiversity goals for New Zealand  without imposing the extreme environmental, economic and social costs of eradication and the risks of failure. It is encouraging that Peter’s vision for regional councils generating nationally coordinated programmes for pest management at large scale (e.g., with DOC) is being achieved. That could assist very much in developing IPM plans. But it is discouraging that the last government’s policy has complicated central and regional government collaboration by imposing a business structure (i.e., Predator Free 2050 Ltd.) that is displacing integrated pest management to pursue, once again, an eradication policy like the old Pest Destruction Boards. It seems, in pest management, we are destined to repeat the mistakes of history. 1. Nelson, P. (1993). “Options for future pest management: what will work for New Zealand.” New Zealand Journal of Zoology 20(4): 373-378. 2. Nelson, P. (1978). Agricultural Pests Destruction Movement in New Zealand. 8th Vertebrate Pest Conference, University of Nebraska – Lincoln. 3. Bell M. (2016) Accelerating Predator Free New Zealand. p. 110 in Cabinet editor., Wellington, New Zealand. 4. Norton D.A., Young L.M., Byrom A.E. et al. (2016) How do we restore New Zealand’s biological heritage by 2050? Ecological Management & Restoration 17, 170-179. 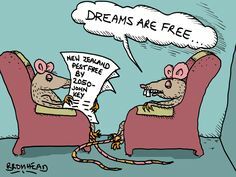 There is some potential for ecological disaster if complete or near complete predator eradication was actually achieved in N.Z. (though it is unlikely to ever be achieved)! One has to remember that the environment in N.Z. today is a far cry from how it was pre-predators, with much less cover of native forest. Currently, predators are keeping population levels of native forest birds (insectivores and frugivores) down to low levels. Take away the predators and watch native bird populations explode back to pre-predator levels, but in a very much changed environment. This could cause them to decimate native insects and fruits, and then move out into agricultural and even urban areas looking for food, where they may cause problems to crops, etc.